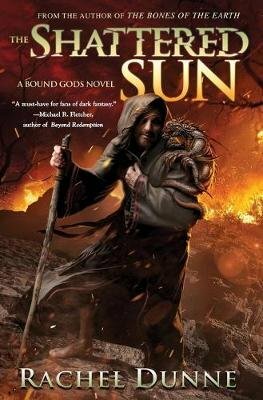 The epic sword-and-sorcery Bound Gods fantasy series comes to its dark conclusion in this thrilling story of a vibrant world whose fate lies in the hands of vengeful gods and bold warriors. The world has been plunged into darkness . . . and only the scheming priest Joros might be able to bring back the sun. With his ragtag band of fighters-a laconic warrior, a pair of street urchins, a ruthless priestess, and an unhinged sorcerer-Joros seeks to defeat the ancient gods newly released from their long imprisonment. But the Twins have champions of their own, and powers beyond knowing . . . and the only sure thing is that they won't go down without a fight. The fate of the world hangs in the balance as the Twins aim to enact revenge on the parents that imprisoned them, and the world that spurned them. The Long Night has begun, and the shadows hide many secrets-including that the Twins themselves may not be as powerful as they would have everyone think. Joros and his allies must strike now-before the Twins can consolidate their power . . . and before they are allowed to shape the world in their vision.